1957 Volvo 444 - I don't know that you would want to, but you could probably use this as an everyday car. The 444 was built like the proverbial tank and, with the twin carb version of Volvo's 4 cylinder engine, it moved along at a reasonable pace. This is a nice example of a 444. The seller say he concentrated on the mechanicals when restoring the car, but the body and interior look great. 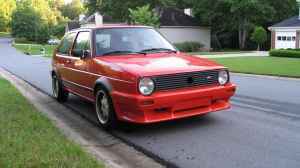 1984 European ABT VW Golf GTI - The seller says this is a real - grey market - ABT tuned Golf GTI. As you would suspect, this car has a lot of very cool parts in it. The seller does not mention how many miles are on it or the car's overall condition, but, based on 4 pictures, it looks to be in very nice shape. 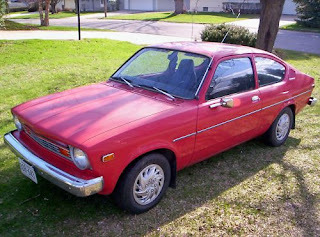 If this car is all the seller says it is - and really is in good shape - the $5500.00 asking price is very realistic. Located in West Cobb/Marietta, GA, click here to see the Craigslist ad. This is a plain-jane Buick Opel by Isuzu. It has 46,000 miles on it. It's not in perfect shape, but is in good shape for a 35 year old car. If you're looking for something different to use as a commuter car, this could be a good choice. Just don't call it an Opel. Located somewhere in Minnesota, click here to see the eBay listing. 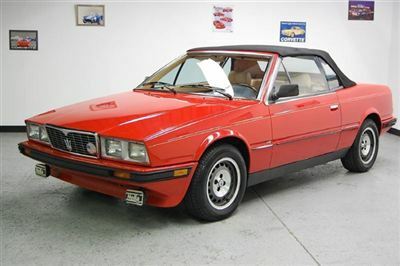 1987 Maserati Biturbo Spyder - A 100K mile Biturbo? As long time readers of this blog know, I love Biturbos. But, even I will admit that they are trouble prone, finicky cars. Most of the Biturbo's problems happen pretty early in their lives. You'll very often see non running, ratty, sub-fifty-thousand mile cars being offered for very little money. A well running, nice looking Biturbo with over 100K on it is one of two things... A) A car that has been very well taken care of all of its life, or B) A car that is about to fail, most likely in many ways and in pretty spectacular fashion. Zagato did a very nice job creating the Spyder. Of all the Biturbo models and variations we received here in the US, it is, in my opinion, the best looking. This car is being offered for $3,495.00, which is a very reasonable price if it is a well maintained car. Located in Raleigh, NC, click here to see the eBay listing. That BuickOpelbyIsuzuI sold for $1025. Somebody really wanted it. With similiar DNA, I'd rather have a Chevette Diesel, myself, just for sick novelty. 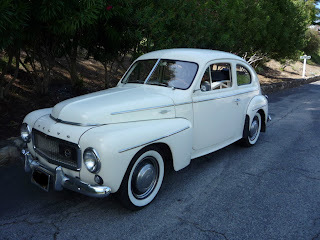 That Volvo is just like the first car I ever test drove- complete with split window. Such a sweet ride.